Using a special, high buoyancy foam, this vest is certified to act as a life protection floatation device. 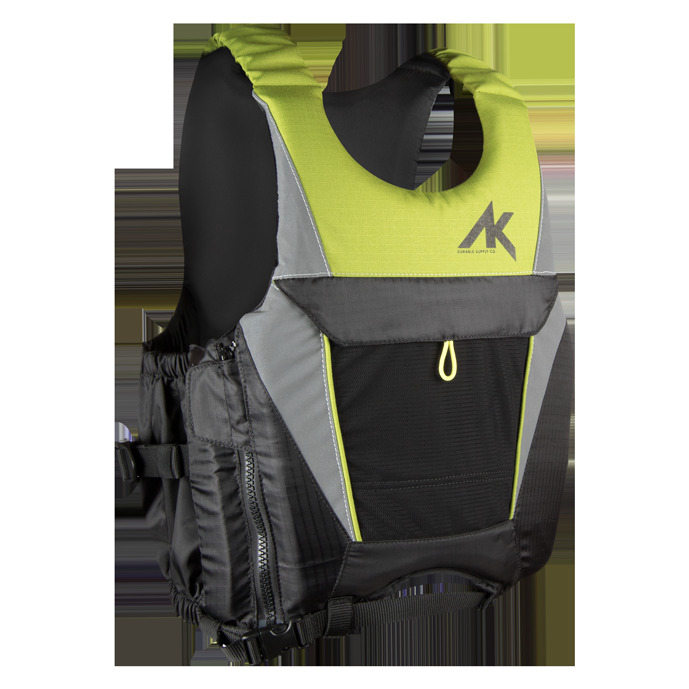 The AK Progression Floatation Vest features a chest pocket to hold your essentials when riding for a long period of time or competing in races, and a dual side zip closure to make sure the harness stays fastened at all times. The elastic shoulder straps allow for maximum comfort for all sizes of riders and riders wearing varied protection when in the water. 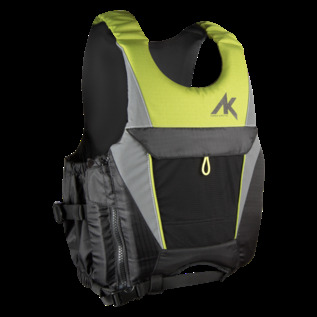 This floatation vest is a cross-disciplinary vest and can work for kiteboarding, windsurfing, wakeboarding or any other sport involving deep water. The vest features a base webbing loop to lock around your spreader bar hook, preventing the vest from riding up when you are being subjected to high forces from your kite.